Yes. You read it right. Putler’s Audience dashboard went for a toss. And now it’s even more powerful with the addition of three reports – browser, social media and mobile. The best part – you get them in a single place. Browser – Audiences > Techonology > Browser. Mobile or Device – Audiences > Mobile. Social Media – Acquisition > Social. Let’s cut this hard work now. Putler brings together all these reports together in one place. So that you don’t spend time juggling through multiple dashboards within Google Analytics every now and then. But get all the required data immediately. All you need is to go to your Audience Dashboard in Putler and your data will be readily available. 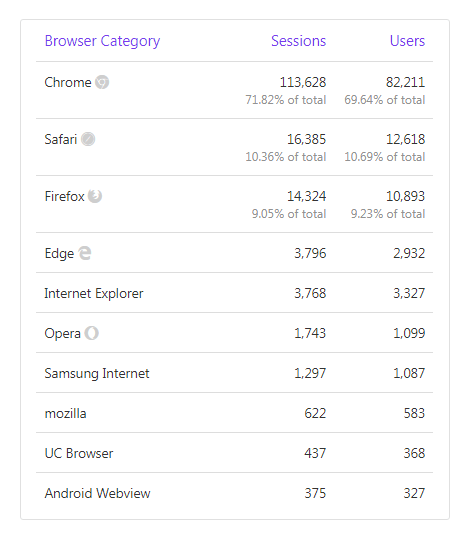 This report shows the data of different browsers your visitors use to browse your website. How browser traffic affects your business? Browser reports are probably more useful to your web developer. As shown in the above example, about 90% of your total traffic visit your website through Chrome, Safari and Firefox. This means you should test and review your website periodically in these popular browsers. Whenever you update anything, make sure it runs well first on these browsers and others as well without any lags and breaks. This makes your visitors browsing experience a seamless once. 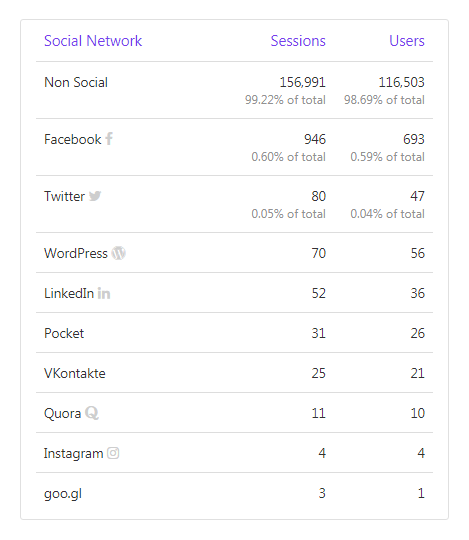 This report shows the distribution of your entire traffic into two parts – non-social and top performing social media channels. How social network traffic report affects your business? This report gives you an idea of whether your social media is capable of acquiring more traffic than the other channels or not. Digging deep through each of the social channel, you get to know which social media channel drives more traffic to your website. If it’s Twitter or Facebook, it may be a post or tweet that has got more engagement. For WordPress, it may be due to your plugin link. It’s also good to see visitors via Instagram and Quora. These channels are low hanging fruits and can be profitable in the future. This report will also help you prioritize social channels for ad targeting. 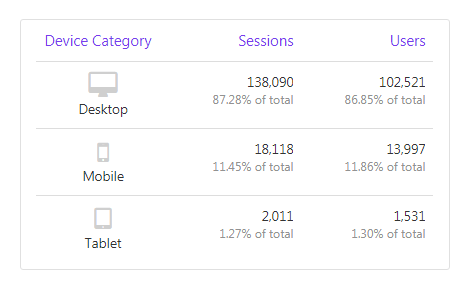 This report shows your traffic segmented via desktop, mobile and tablet. How device traffic report affects your business? The more focus here should be on your visitors through a mobile device. Because, as per Google, mobile-optimized websites will be given preference in SEO. So make sure your site is optimized to work on mobile devices. Hence, a site that isn’t mobile responsive may rank below in search engines. Now, addiction to mobile and easy internet access has increased browsing tremendously. So, do not get surprised if you see a rise in traffic coming via mobiles. But, also don’t ignore traffic via desktop and tablets. They too are equally important. Popups that are easy to close. Use header/footer bars instead. Clear call-to-action “above the fold” are better. We want to do better everyday. Your ideas, suggestions, feedback will only help us deliver the best. Let us know in the comments section below what you think of this post.